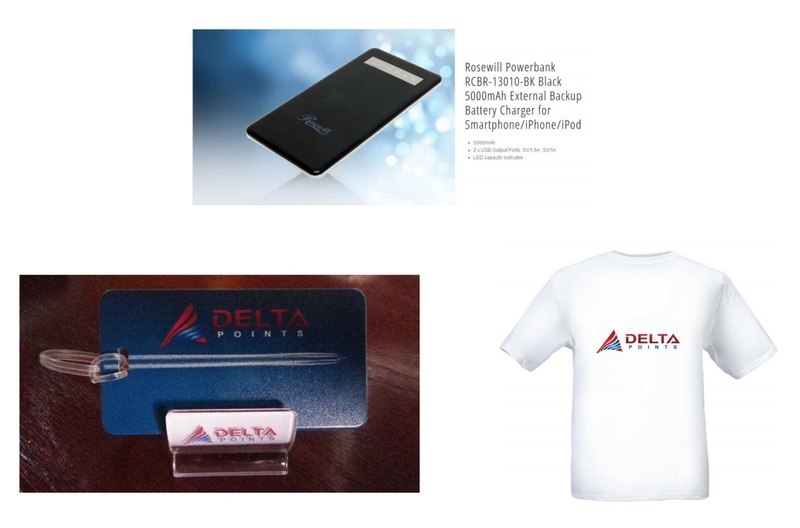 SWAG Saturday: Will Delta sell MQMs this year? Maybe, maybe not! One of the HOTTEST topics right now is: “Will Delta sell MQMs this year?”! I am getting emails each day and FlyerTalk has a thread with over 10,000 views talking about this. Delta, like with most things, will not tell us for fear of “whatever” so don’t expect to hear about this in advance. Having said that, I have posted in the past that it would be financially stupid for Delta NOT to sell them as they are such an EASY money maker for the airline. They are WAY over priced but flyers snap them up like candy each year and they cost the airline nothing. What’s not to love as a DAL shareholder? Now if they do come up for sale again, should you buy then? Please don’t do it. At last year’s prices you are paying 10 CPM or cents per mile; that is a lot of cash! Consider this, you can have and hold BOTH the personal Delta AMEX Reserve card and the business Delta AMEX Reserve card at the same time. If you have not had the personal Delta Gold or Platinum or Reserve card for 365+ days you can get the personal Reserve card new card 10,000 MQM bonus with first purchase. If you have not had the business Delta Gold or Platinum or Reserve card for 365+ days you can get the business Reserve card new card 10,000 MQM bonus with first purchase. Yes, the cost for each is $450 but you also get 10,000 Skymiles also with first purchase worth at least $100 in value. When you compare this to the Delta MQM sales price it is just 3.5 CPM or 1/3 of price of last years Delta MQM sale. You see the clear simple logic and you still have time to get either card and get the spend done before year end! Will Delta offer MQMs for sale this year? Yes but it might be pricey. Yes, they won’t be able to resist the free revenue…. I say yes, but when they say yes, just say no. I say yes, but I don’t think I will participate. Yes………. the free revenue talks! Yes. And they will be overpriced. And some will still buy them. Yes, crazy for them not to. Probably, so I’ll say Yes! Nope not this year. But if they did and MQD were in place would the MQM purchase on my Delta AMEX qualify for MQD spend? LOL. I think they will. In the dark days of the past before I was enlightened, (thanks to Rene’)I bought them, but never again. No, not this year! Although I see I am in the minority…. Yes Delta will sell them like you said it’s free money for them and that’s the bottom line for Delta. No…I like the idea of getting the mqm’s you need by virtue of one of the Amex cards. I squeaked by and made it to Platinum with 384 miles to spare, so I don’t really care if Delta sells MQM’s. In fact, I hope they don’t, so that I’m competing against fewer people for upgrades this coming year. I think they will. It’s good business for them if people will buy them. I think they will. It seems like they see it as a smart business move. No, not a good thing. Yes, they should and they will. I seriously considered buying last year. I also include the value of my time in my CPM calculation, and that makes it more worthwhile to buy them outright. I think they will. It’s easy money for DAL. Maybe but hard to say with the whole MQD rolling out next year. A definite YES. Makes Delta and some customers happy, and makes money for Delta. Yes but going to be costly. Yes! While, I wouldnt ever buy miles at 10cpm, I’m happy if delta can turn a profit from it. Will MQDs roll over from this year to next? @platman – well this year, 2013, there are no MQDs so no. Next year, there will be MQDs, but at this point, there will be NO rollever MQDs only MQMs but they will be affected by MQD spend. I doubt it, I think they are trying to make it harder to qualify for status. i hope so, but i think NO. Yes I imagine they will, although I’m not going to be buying any. I have a flight in a few weeks that’ll push me over into GM. Plus that’s not counting the MQM miles from my Platinum Delta AMEX which should be hitting soon as I’ve almost made the required spend. I think they will, it would be crazy for them not to. Yes, I bet they do sell MQMs. No, I wouldn’t buy them unless i was less than 500 away from crossing a threshold and had absolutely no time for a mileage run. It’s way too easy to find a quick/cheap flight these days, even at the end of the year. I say yes they will sell MQMS this year, but will they sell both MQMS and MQDS next year? I say no. You would have heard something by now. Yes, if they can find a way to make money, DL will. Oh yeah, they’ll cave once they see the $$$ signs. I’m sure something will come out…. I think they won’t because it’s a no-brainer and Delta is doing things backwards lately! Yes, and the only reason they haven’t already is probably because of all the miles issues they’ve had for the last 2 weeks. Yes – Delta is always out to make $, regardless of it being good or not for it customers. Of course they will go for the free $. Absolutely, but got the amex business so I won’t be tempted. Oh yes I hope so. My wife needs 1500 to hit Platinum. It’s absolutely a good idea for delta to do this and I think they will. I also think that delta ought to think about this not having a card for 365 days before you can get the bonus stuff. I’ve had my platinum card for, I don’t know, 25+ years.. When I got the business reserve card, delta reduced my platinum credit limit in order to spread that limit between the two cards plus a little bit more. If I then drop my platinum card, my credit limit is cut again. In 365, I apply for the platinum card, delta divides my now-reduced credit limit again between the two cards. I go apply for a loan and my credit report shows my utilization ratio is not good because sny given month has a lot of business expenses charged to it. Delta should want to give me a bonus every few years because when I have a high credit limit, I have more limit at my disposal to use and, of course, delta also makes money on me for every single purchase I make using their card. Please note that I have only paid one interest charge and that was back in college on a discover card that I forgot to mail in time and I got that reversed because I had never paid an interest charge. It also goes to how you use your cards, Rene. As soon as you hit the bonus dollars you need, you go to another card. I would think any credit card company would want you to use only their card. That is why we keep getting incentives to use a card. I’ve just given delta an idea as to how to keep me using their card. 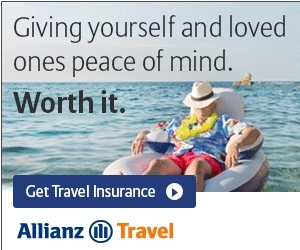 Yes, but at a high price that most people won’t think is worth it. I suspect Delta will sell MQMs again this year. It seems like an easy way for Delta to get quick cash. Yes……anything to make a buck! DL should sell points, but I’m not buying! Miss a money making opportunity? They absolutely will sell MQMs. They just don’t want to announce too soon to get mileage runners to purchase seats instead. Yes! If people need them and want to pay for them, so be it. Make money and make flyers happy. Yes, like you said, it’s easy money. Yes….anything to make a buck!